Bratton, Michael and Peter Penar (2018). 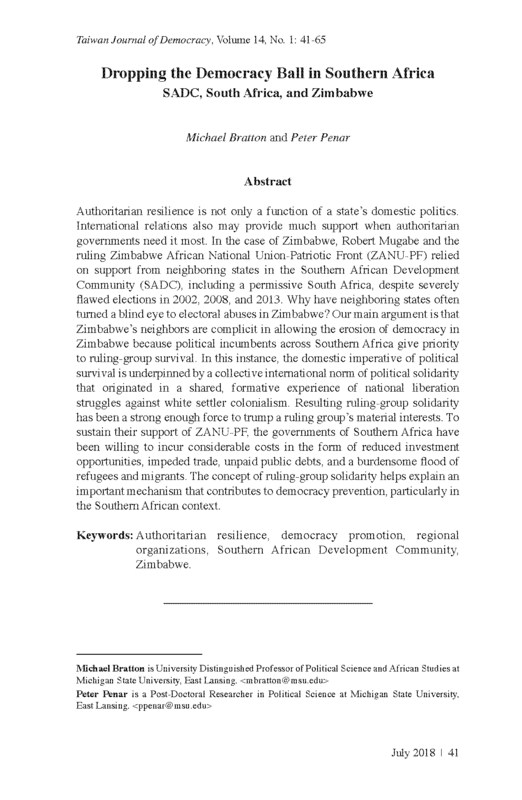 “Dropping the Democracy Ball in Southern Africa: South Africa, SADC and Zimbabwe.” Taiwan Journal of Democracy 14(1): 41-65. Bratton, Michael and Peter Penar (2018). Forthcoming. “Power Sharing as a Strategy to Resolve Political Crises.” The Oxford Encyclopaedia of African Politics (Oxford University Press). Oyuke, Abel, Peter Halley Penar, and Brian Howard (2016). Off-grid or 'Off-on': Lack of Access, Unreliable Electricity Supply Still Plague Majority of Africans. 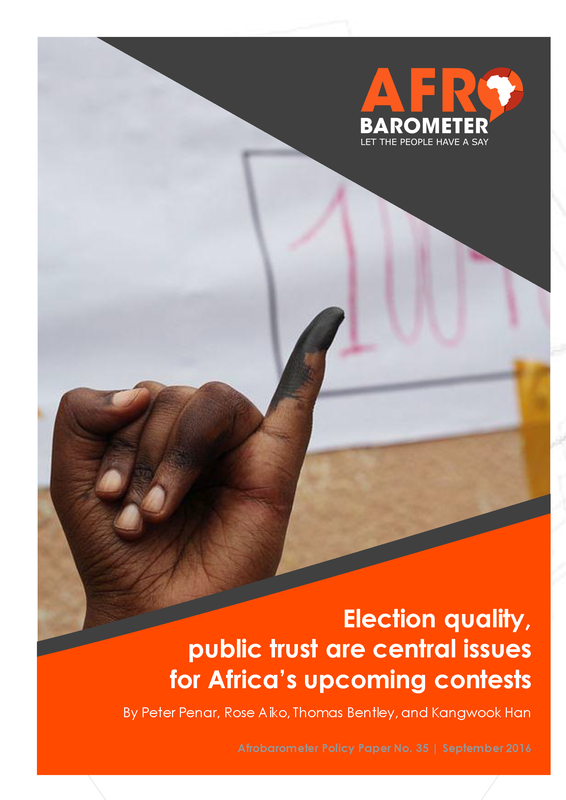 Afrobarometer Dispatch No. 75. My interview with Ozayr Patel of The Conversation Africa: https://goo.gl/P3G9yt. Bentley, Thomas, Kangwook Han, and Peter Halley Penar (2015). African Democracy Update: Democratic Satisfaction Remains Elusive for Many. Afrobarometer Dispatch No. 45. Article republished on The Conversation Africa: http://goo.gl/H258iB and several newspapers in South Africa (M&G) and Zimbabwe. Penar, Peter and Abel Gbala (2019). What the Return of Gbagbo Could Mean for Ivory Coast’s 2020 Election. The Conversation Africa. Penar, Peter (2017). How The Gambia is Testing West Africa’s Resolve to Protect Democracy. The Conversation Africa. Republished by Mail & Guardian Africa, The Wire, and other Africa-based news outlets. Article served as a basis for interviews with the BBC World Service and Deutsche Welle. Penar, Peter and Abel Gbala (2016). Controversial Constitutional Referendum Sparks Distrust in Côte d'Ivoire. The Conversation Africa. Republished by African Arguments, Newsweek, and Quartz Africa. Penar, Peter (2016). 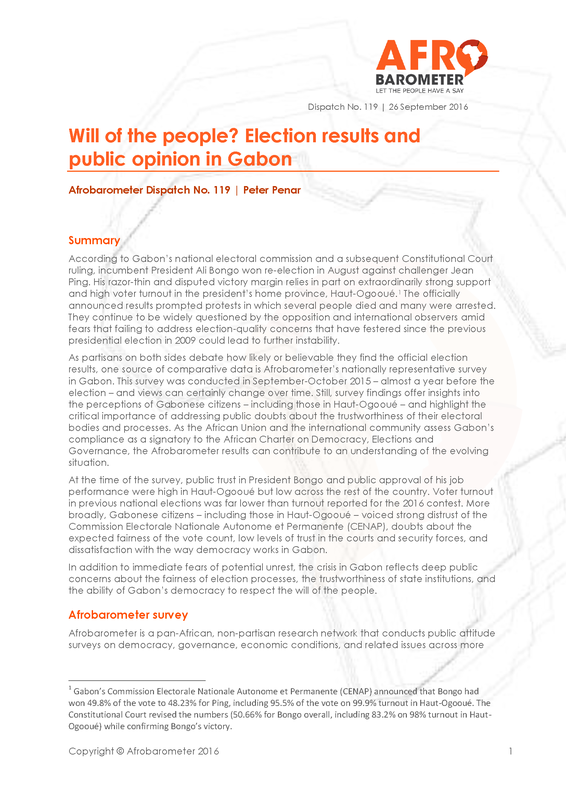 Gabon Violence Reflects Longstanding and Deep Mistrust of Election Handling. The Conversation Africa.